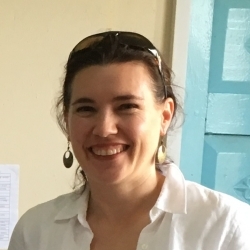 Elizabeth Daley is Team Leader of Mokoro’s WOLTS Project, a multi-country action-oriented strategic research project in support of gender-equitable land governance. She is a land tenure specialist with over 20 years’ experience working on land, natural resources, environment, food security and livelihoods across Africa and Asia, including within agriculture, mining and pastoralism. Elizabeth has extensive field-based and technical knowledge of key policy issues around responsible land governance, land tenure reform and registration, land rights and tenure security, and large-scale land acquisitions (LSLAs), with particular interests in land rights of women and vulnerable groups and in women’s economic empowerment. She has written and presented widely, including academic publications on gender and LSLAs, women’s land rights, and land tenure and social change. Elizabeth was lead drafter of FAO’s Governing Land for Women and Men – Governance of Tenure Technical Guide 1, and subsequently worked with FAO to develop a blended learning programme on gender and responsible governance of tenure, to support the implementation of the Voluntary Guidelines on the Responsible Governance of Tenure of Land, Fisheries and Forests in the Context of National Food Security (VGGTs). Among a wide range of previous assignments she has also worked long-term in Rwanda, supporting the Ministry of Land in preparing for systematic land tenure regularisation.